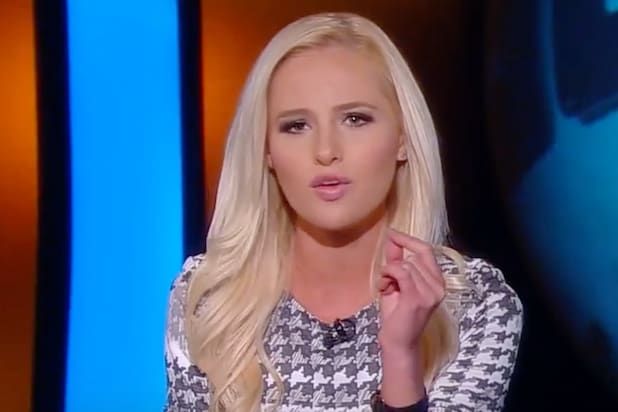 Young conservative firebrand Tomi Lahren is suing her former employer, The Blaze, and its founder Glenn Beck for wrongful termination after Lahren acknowledged being pro-choice on an episode of “The View,” according to a complaint first reported by the Dallas Morning News. Lahren’s show was suspended indefinitely the Monday after making those comments. According to Lahren’s suit, Beck and The Blaze knew about her pro-choice views before her public comments and never took issue with them. The lawsuit also claims that a Blaze producer accompanied Lahren to the “View” set and “applauded” her appearance. However, The Blaze canceled Lahren’s show almost immediately after she made the comments, according to the lawsuit, “presumably hoping they could find an exit strategy to sanitize their unlawful conduct” until Lahren’s contract expired September 30. The suit also alleges that Lahren’s bosses ordered her to stay silent on social media, where she has millions of followers. Lahren’s work email was deactivated and coworkers taped an “X” on her dressing room door, the lawsuit also claims. Lahren’s suit is asking the judge to grant a temporary restraining order, which would allow her to speak freely and prevent The Blaze from destroying any evidence related to her suspension. She is also asking for attorney’s fees and costs, along with any and all other relief to which she might be entitled.